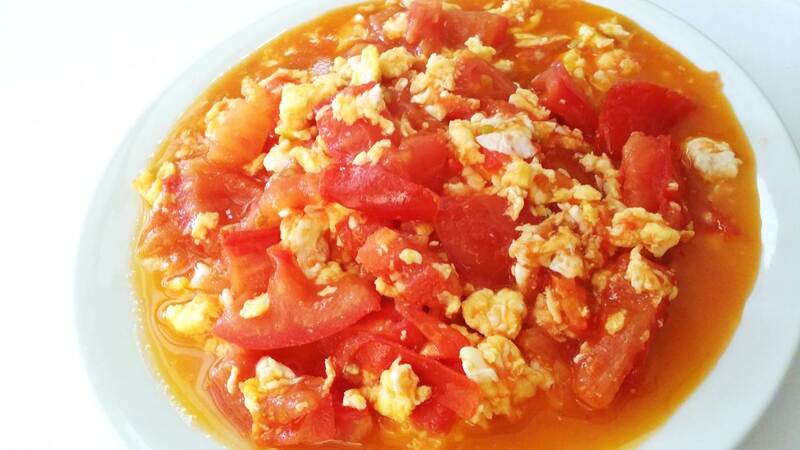 Today I present you a dish well known in China. 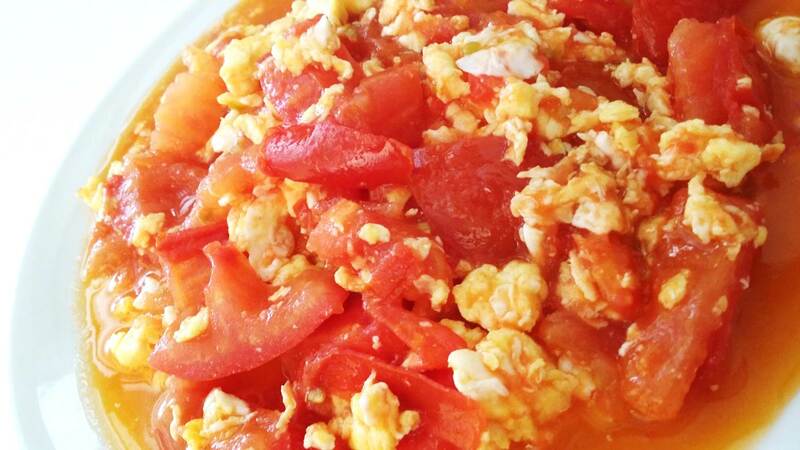 It is very family-friendly, very nutritious, with an acid and sweet taste, almost all Chinese women know how to do it. 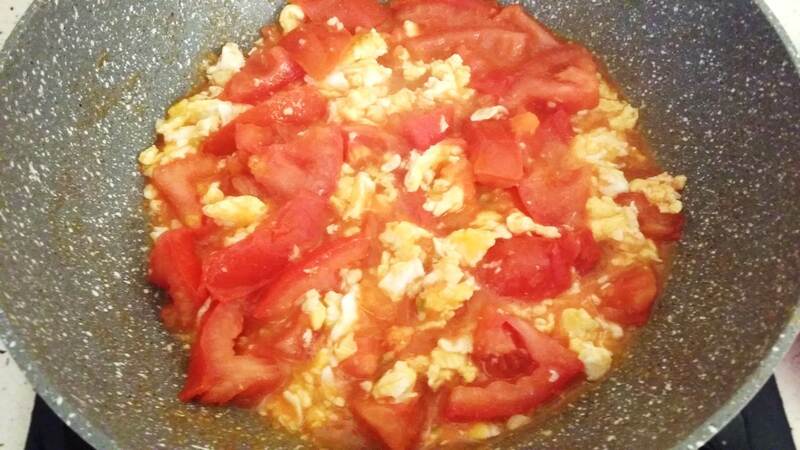 It's the tomato sautéed with eggs. Of course we'll make the Organic version! 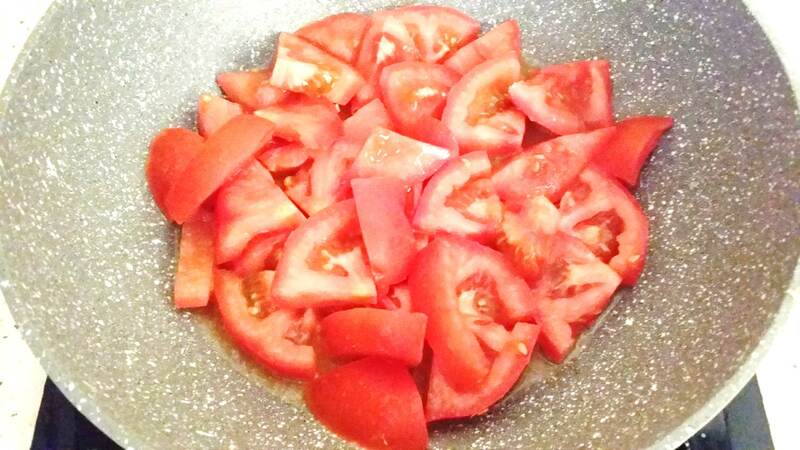 1 Prepare the tomatoes. Cut them into pieces. 2 Switch on the heating plate as far as possible. 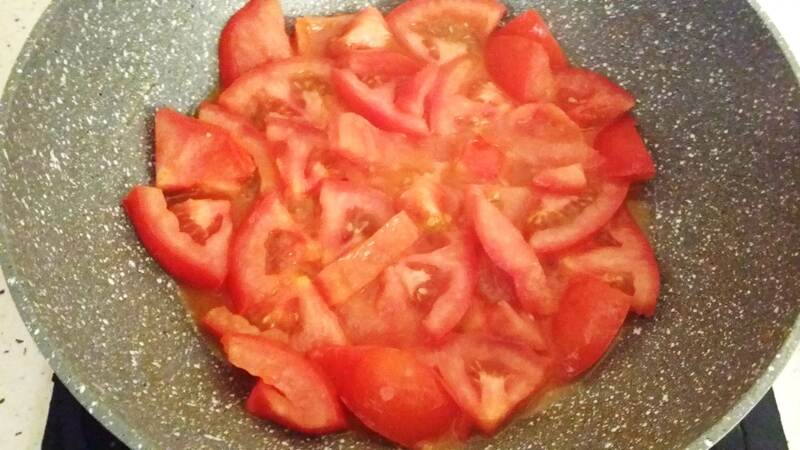 Put the pan and heat it, then pour a little organic olive oil for cooking. 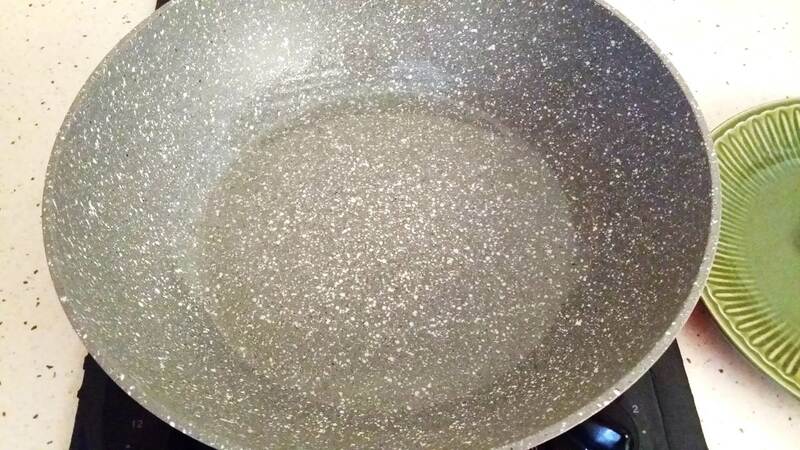 Stir the pan slightly for the oil to apply and heat well. 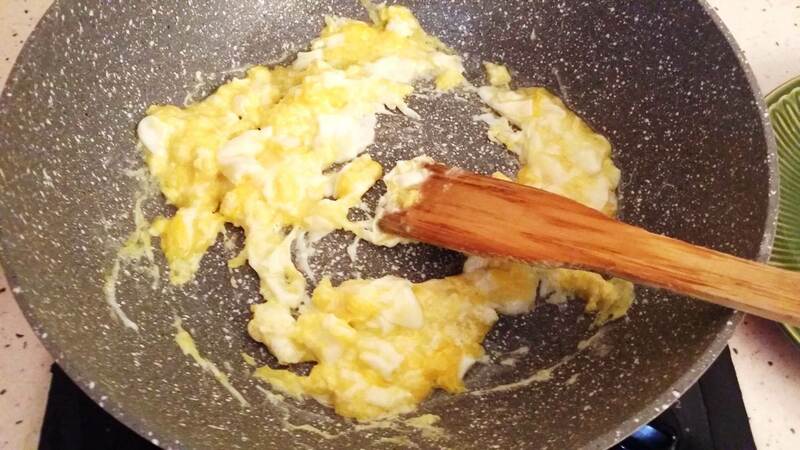 3 Break the three eggs in the pan one by one. 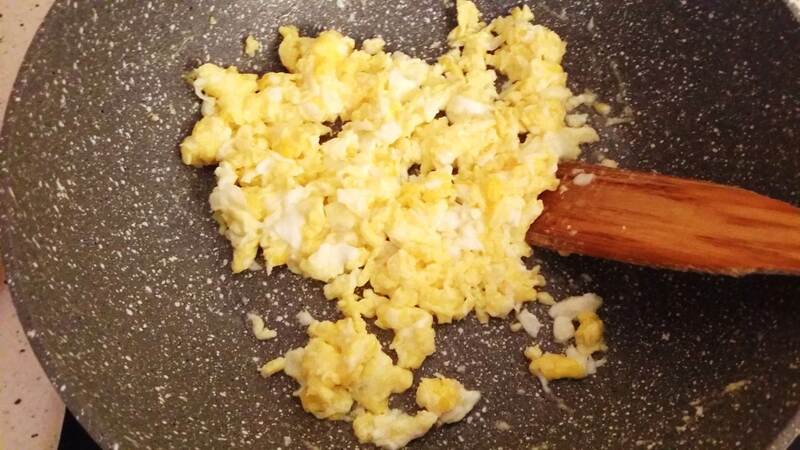 4 Sauté quickly with the wooden spatula, mix well. 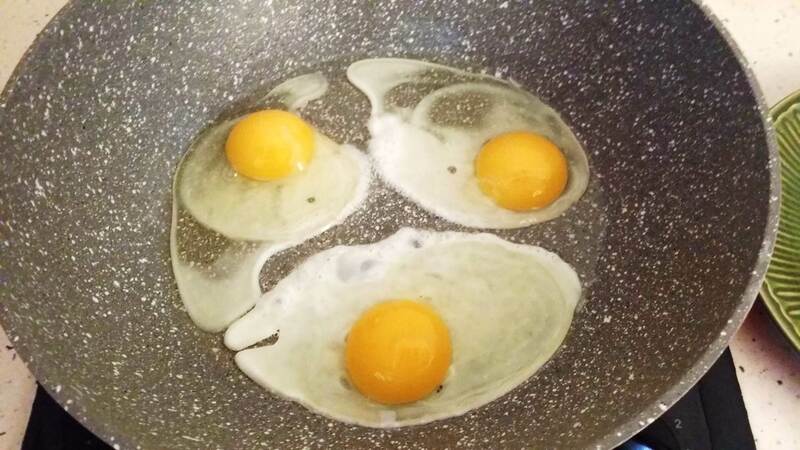 5 Sauté to the point that the eggs are as in the picture. 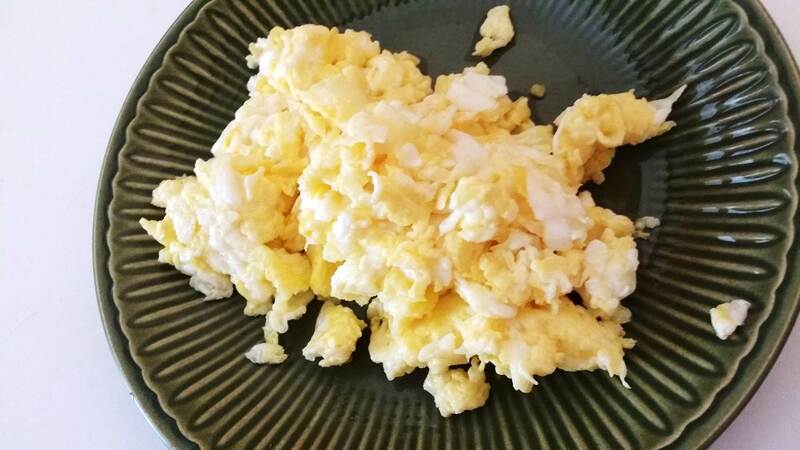 6 Remove the eggs on a plate. Keep it aside. 7 As before, turn on the heating plate as much as possible. 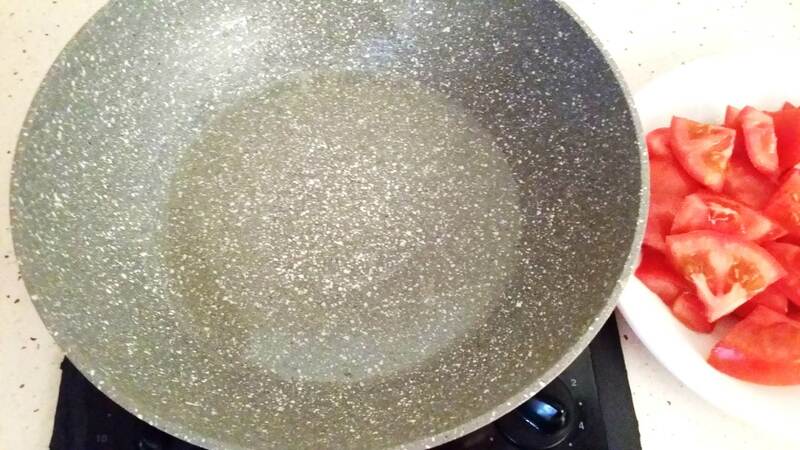 Put the pan and heat it, then pour a little organic olive oil for cooking. 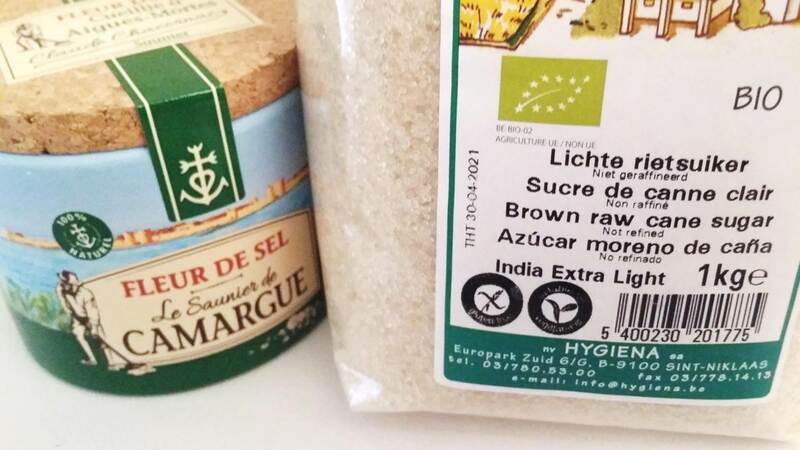 Remuer légèrement la poêle pour que l’huile s’applique et chauffe bien. 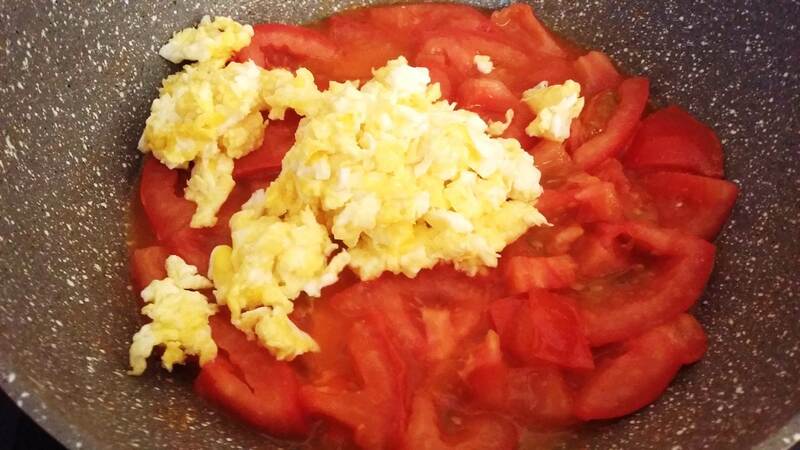 8 Pour the tomato pieces into the pan, sauté slightly with the wooden spatula and leave them for about 30 seconds. 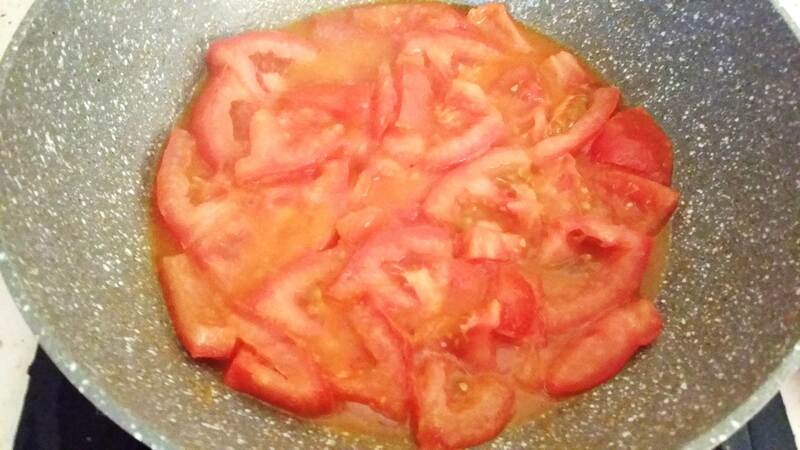 9 Continue to sauté the tomatoes a little, wait for the tomato juice to come out. 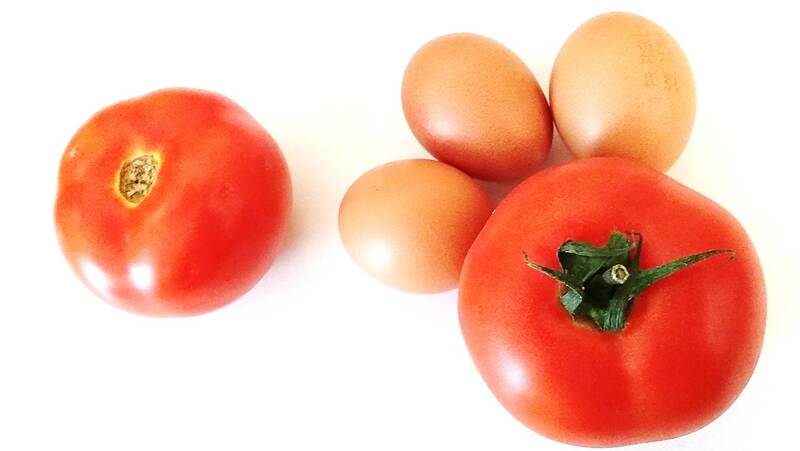 10 When we see that the pieces of tomatoes bathe well in their juice is that it is ready for the next step. 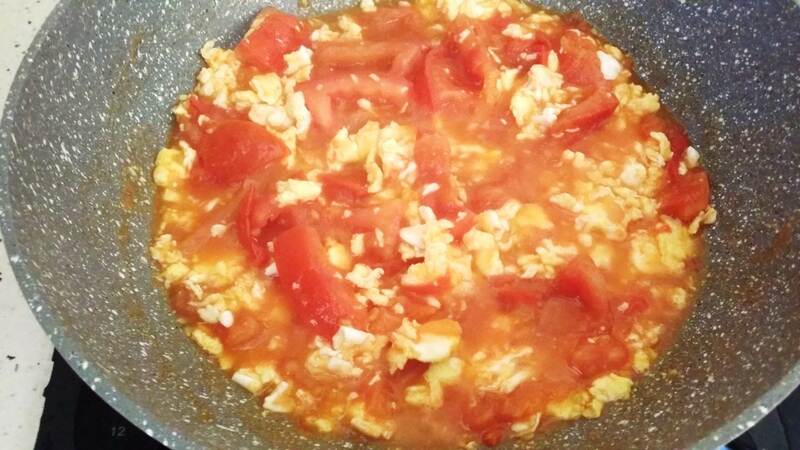 11 Pour the eggs into the pan. 12 Mix the two well. 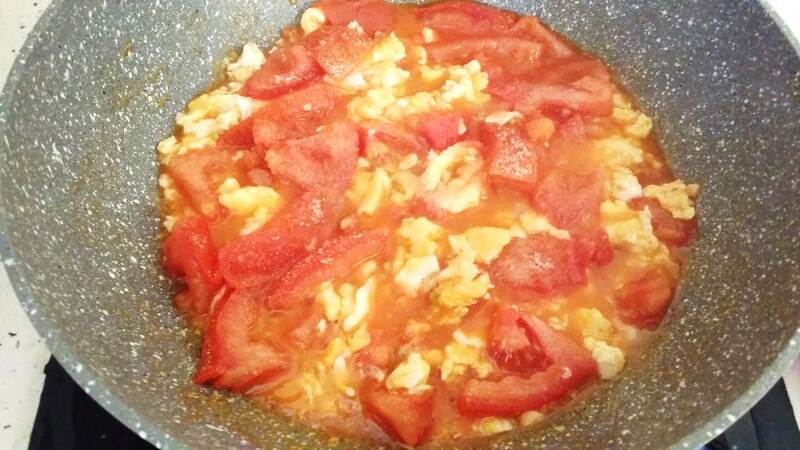 13 Add the seasonings. A pinch and a half of flower of salt. Four pinches of clear cane sugar. 14 Sauté a little, mix everything well. Ready to serve! 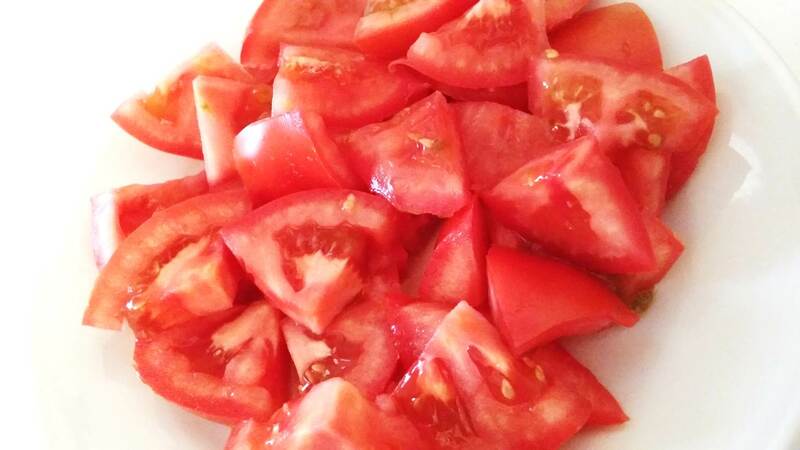 Rich juice, acidic and sweet taste, delicious and nourishing! 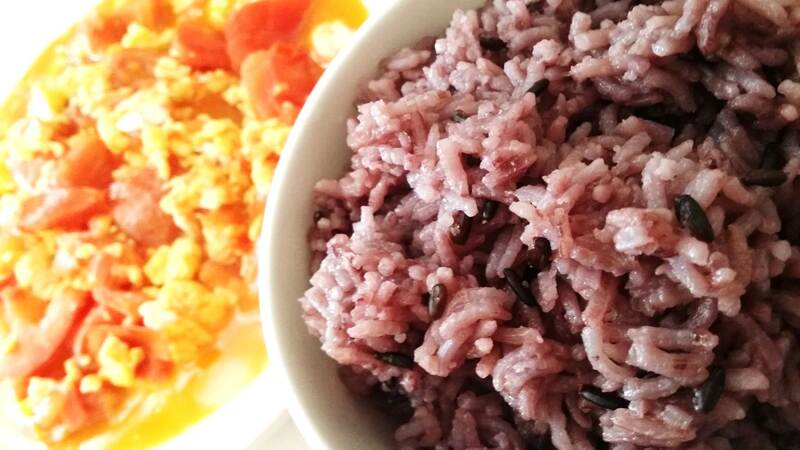 Serve with a bowl of organic rice made with scented rice and black rice. What a delicious vegetarian & organic dinner!